Apparently we should all be making lemonade when we’re given lemons, but why not think about the possibilities of what else we can do with these metaphoric lemons. Ultimately this saying goes with the assumption that you take what you can get and do what you can with what you’re given. 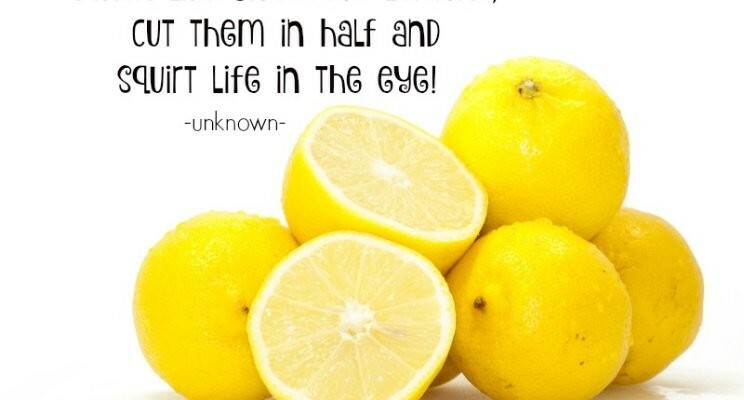 In some circumstances this works, you can make the best out of a bad situation, sometimes, these lemons are the sourest lemons you’ve ever tasted and in that metaphor, you’re ultimately standing head deep in mud and sinking with nothing but a horrid lemon and you’ve failed. Now instead of trying to make lemonade out of this one rank lemon because you feel that’s all you’ve got, look at opportunities around you to surpass this moment and perhaps grow your own tree in a different area, maybe have a look around and see if there’s something you can hold onto to help pull yourself up and out. There is always a way out, you just need to open your mind to opportunities and growth. Not everyone wants to make this metaphoric jug of sour drink and get by, others want to push past and see what else there is to offer, they look past what’s being given and push for what they actually want. It’s those who push past and refuse to accept this status quo that succeed. It’s these people who stand out and people look out for, it’s these who succeed more, because they know that there’s something more than what’s being shown to them. You just have to look for the other options, because they are there and push for it. You don’t need to be standing there, grinding a lemon down for nothing when you don’t want to, you can be the one to run past those who decide to put up and shut up and instead run towards what you’re destined for and what you deserve. Be the person to stand out among the crowd.